Dubai: Dubai Investments Real Estate Company [DIRC], the real estate arm of Dubai Investments PJSC [DFM: DIC], has announced that the residential units and retail components of its project ‘Mirdif Hills’ will be launched for sale soon. Currently the only freehold development in Mirdif area, ‘Mirdif Hills’ is a mixed-use residential, commercial and retail development in Dubai spread across 4 million square feet and equipped with all lifestyle amenities and retail components. A model of the development and project plans is being unveiled during Cityscape Global exhibition, which continues till September 8, 2016 at Dubai World Trade Centre. ‘Mirdif Hills’ comprises over 1,250 apartments – a mix of studio, one, two, three, four-bedroom apartments and duplex units, hotel, hospital, commercial options, retail outlets, community recreation strategically situated adjacent Mushrif Park and spread across four clusters: Al Multaqa Avenue, Janayen Avenue, Nasayem Avenue and South Avenue. The project also includes a four-star hotel with 120 rooms in addition to 128 serviced apartments. Mirdif Hills is envisioned as a self-contained community and equipped with all modern lifestyle amenities such as swimming pool, clubhouse, playschool, internet facilities, coffee shops and children’s play area, in a 24-hour secured gated environment. The project reinforces DIRC’s growing eminence in the regional real estate sector, backed by its portfolio of residential, commercial, warehousing and labour accommodation units. 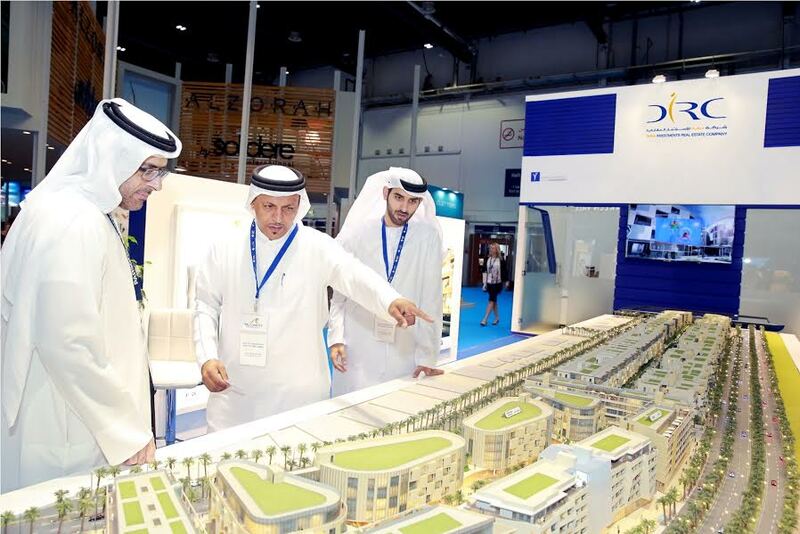 DIRC is showcasing more details about the Mirdif Hills project at its Stand No. 3C10 during Cityscape Global.